RelaxMyDog specializes in music designed for any breed of dog at any age. Their music is created for dogs who have anxiety problems or who are alone a lot. It uses the power of music to calm and relax your pet. 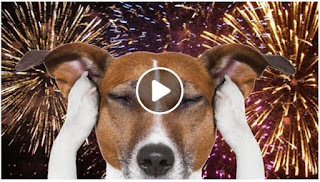 It is perfect for those occasions, such as fireworks potentially scaring your pup, or for a dog who suffers with separation anxiety. The music uses sound sweep technology in order to capture your dog's attention and then combines lullaby-like melodies with classical music to keep your dog calm and soothed. Up to 9 hours of continuous play of free music to relax your dog.